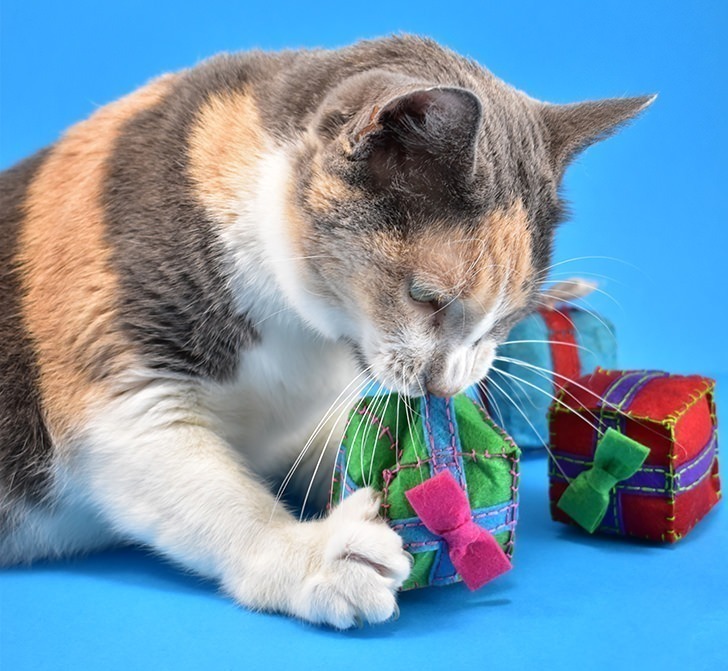 In my experience kitties prefer homemade toys over store-bought every time! 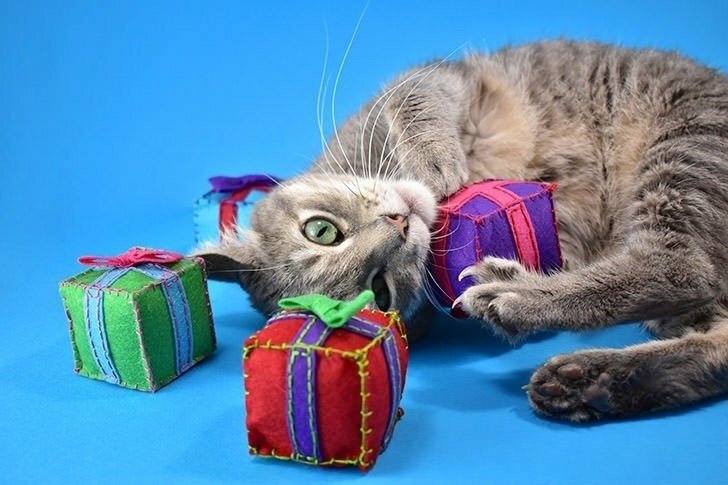 These super adorable catnip gifts are both easy and inexpensive to make and totally cat approved! In all honesty, my pets are pretty darn spoiled. They eat fancy food, get treats pretty regularly and we’ve got (no joke) 4 different baskets of toys around the house. One for my office, one for the master bedroom and 2 in the living room, one specifically for dog toys and the other placed high up on a bookshelf filled with nothing but cat toys. Often this elevated basket filled with little catnip mice and little baubles featuring jingly bells doubles as a cat bed that has inspired a few little cat swatting at each other showdowns. Out of all of the toys in this cat-specific basket, the ones that look the roughest, because they got the most play, are the things I’ve made by hand. I am not sure what it is, but if given the choice of a perfect looking little store-bought toy, or a slightly wonky handmade creating by myself, all three of my cats will beeline right to the home stuffs. 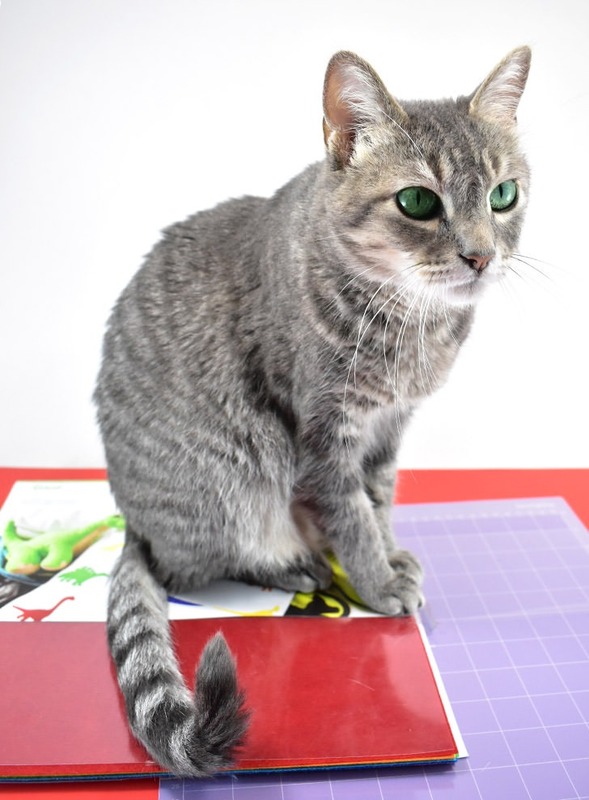 And since I enjoy crafting, I really enjoy making the cats new toys from time to time out of acrylic craft felt because it’s super inexpensive. Over time the felt will fuzz out, sometimes terribly so, but even with a bit of frizz, you can still tell what some of the cat toys looked like in the beginning. In fact, just the other day I saw Marla stalking off with a zombie gingerbread man that I made a little over 5 years ago. FIVE YEARS! That’s kind of insane, right? 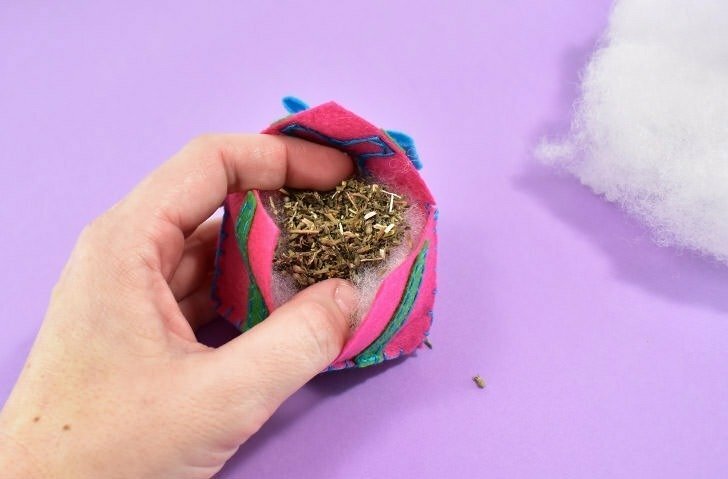 Ooh, and a quick tip before we get too involved, I’ve found that I can sort of “reactivate” the catnip inside to have a strong scent again by tossing them in the washing machine. After they wash and dry the catnip is once again pungent and the kitties will flock to it like new all over again. This is a big part of why five years later, those zombies are still in regular play rotation. But we’ve got a long tutorial today (because I’m feeling exceedingly verbose today) so let’s crack on, shall we? We have 2 different methods of cutting out these pieces. The first is by hand if you don’t have a fancy cutting machine. The second is with a fancy cutting machine if you’re lucky enough to have one. In all honesty, these are basic shapes with only the + sign type shapes being a bit more involved but those are still straight cuts. But if you have a machine, I say use it because it’s just so much faster. My grey kitty Marla wants to know if you’re ready. Ready? 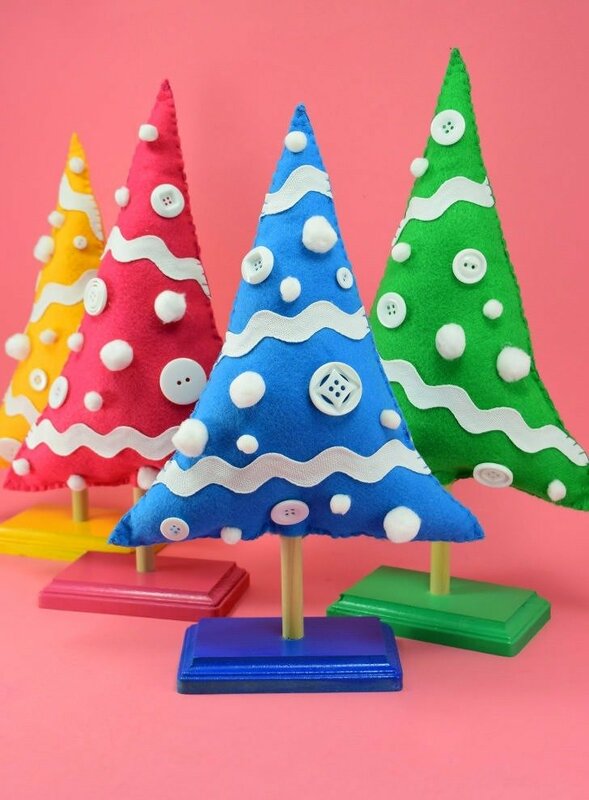 To cut by hand print your pattern and then iron some freezer paper, waxy side down, onto the backside of your felt. 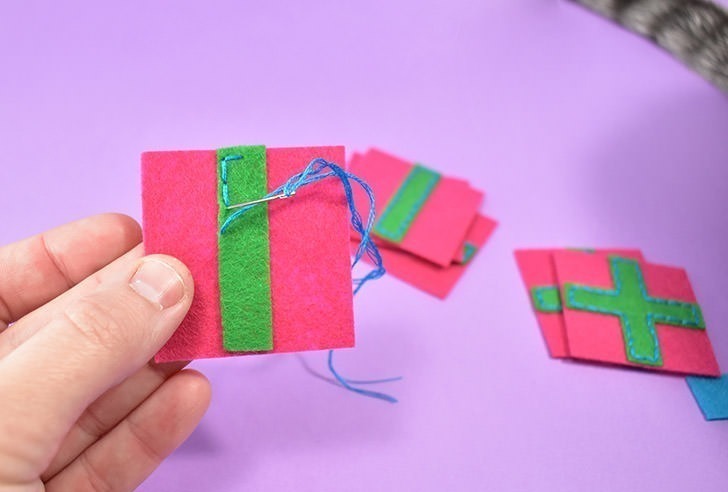 Using sharp scissors make strong, distinctive cuts (don’t drag the blades) to free your shapes from the felt. 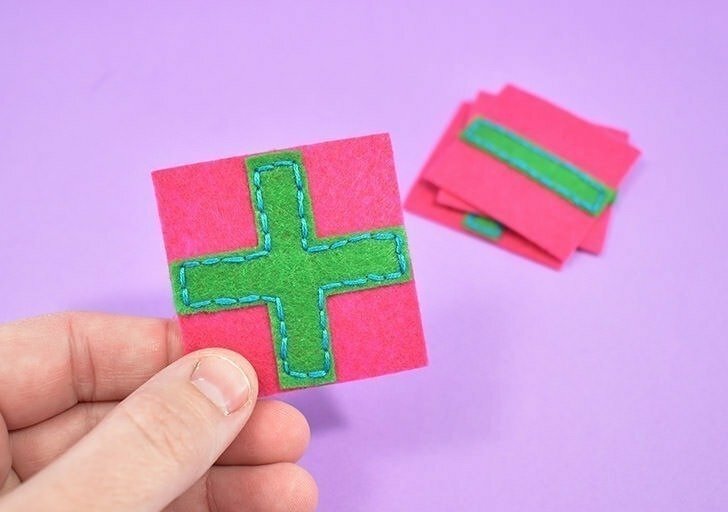 If you need help with this, check out our post, how to perfectly cut acrylic felt. Just a weensy bit ago I was singing the praises of my Cricut Maker and its ability to cut the Cricut felt like an absolute dream. Now I will say that I did run into some issues where on the cuts for my last gift package the felt kept peeling up and then the blade would slice into things it shouldn’t and I got FRUSTRATED. I JINXED MYSELF I told Rob. But I realized that it was because my strong grip Cricut cutting mat had lost some of its sticky because I had cut a TON of felt on that sucker just back to back to back. Like, for real. 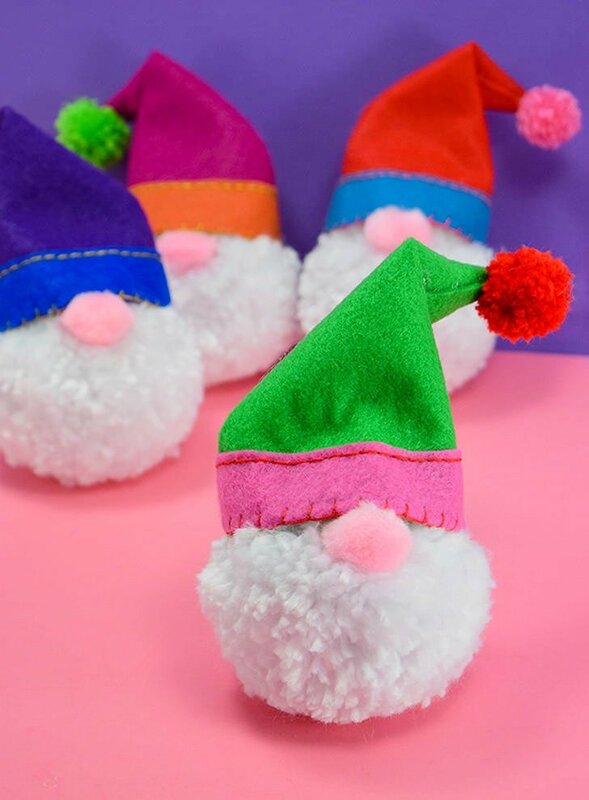 I have been testing out how to best work this and have made exactly 10 of these little felt catnip gifts and you could see the fuzz from tons of colors on the mat. But, luckily, fixing it was SUPER EASY. I asked Rob to run out to the dollar store to snag me a brand new dish scrubbing brush that wouldn’t have any cleaning chemicals on it. Using a small amount of warm water and my new brush I gently brushed the mat in circles taking the felt fuzz with me. I hung it up, let it dry, and BOOM, it was like an almost new mat. PROBLEM SOLVED! So guys, like I said, I made a TON of these gifts. The first was a tester using scrap pieces of felt because I wasn’t too sure if the kitties would be down with the square shape. I mean, most of their stuff is ball-shaped and it seems like they enjoy playing with things that can roll away from them like they’re a hunter and the toy is their prey. Knowing that a cube doesn’t roll, I wanted to be sure these guys would get some play-time before I committed a bunch of felt to make them. 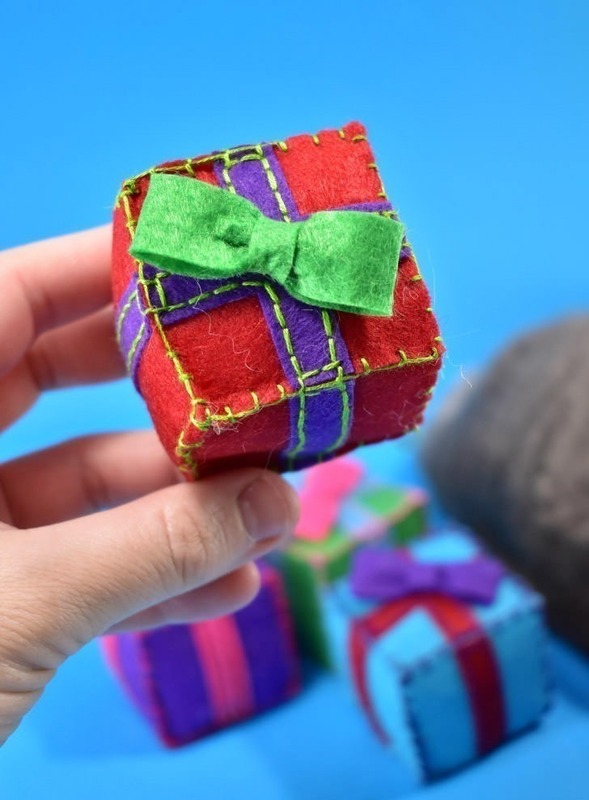 Working with all sorts of colors I found that my favorite look was to take 3 colors of felt (package, ribbon, bow) and to stitch it into a toy using embroidery floss that matched the bow on top but there are lots of options to make your kitty’s gift packages. Okay. I think we’re actually going to start this tutorial in earnest. Ready? Take your square package pieces and place one of the smaller rectangles in the center as you see above. Tack the pieces together using your choice of embroidery floss (I separated mine into 3 strands) and the backstitch. If you need help with the backstitch, here’s a video I made a while back with some embroidery basics. 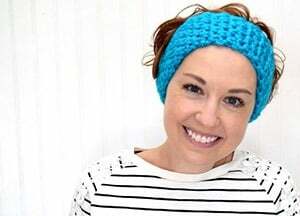 I’ve gone ahead and fast forwarded it to the bit about how to backstitch and it’s super simple. Got it? Great. Let’s make a couple of bows. Now I apologize for this long as all get-out photo. It made a lot more sense in my head. You can click here to open the image up alone so you can see it a lot better than scrolling up and down in this post. Making the bows is super easy and a lot cheaper than purchasing itty bitty premade bows at the store. You also get a lot more of a selection by making them out of acrylic craft felt than just being stuck with what’s available at the store. 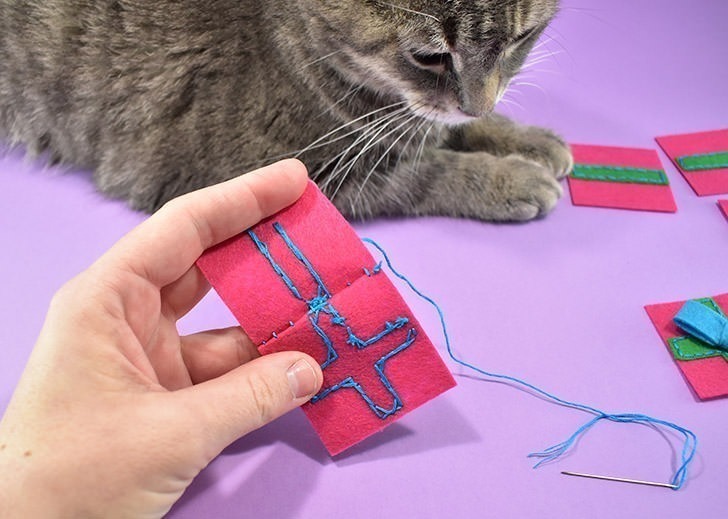 To start, take your large rectangle piece and go ahead and thread a needle with matching embroidery floss. 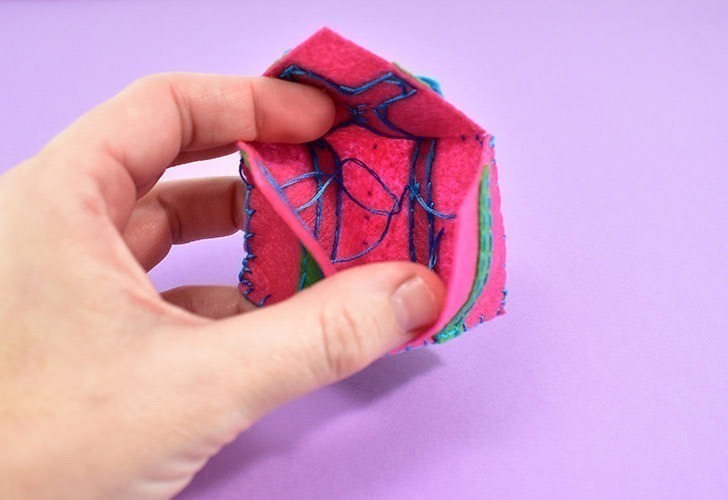 Wrap the felt piece around into a continuous loop and then squish it down in the middle. Run a few stitches down the middle, tacking the felt together in a pinched in the middle continuous loop. 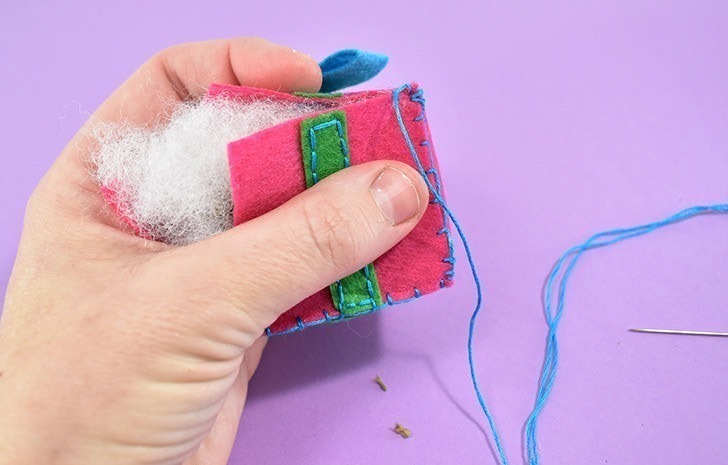 Pull the thread to cinch up the felt and then wrap the thread around and around the middle of the felt, sewing through the thread and the whole bow piece so that it will hold without any assistance. 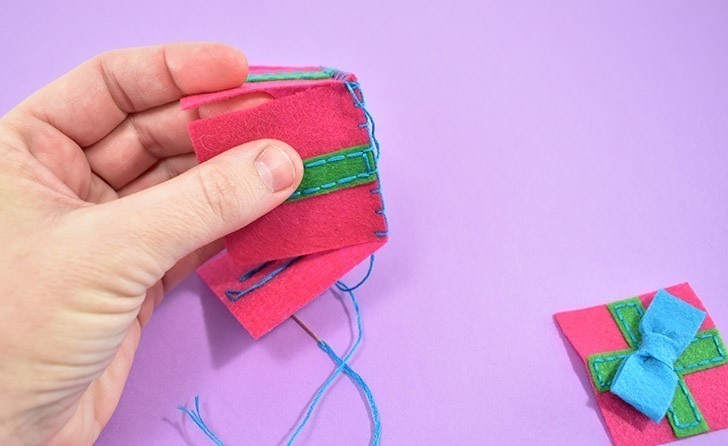 Run your thread through the smaller rectangle piece on the backside of the bow (the back is just whichever side isn’t the prettiest) and then wrap that piece around the middle very tightly to cover your threads tack the center piece to the back and knot the thread off so that it wraps around the entire bow. Trim the excess felt away. 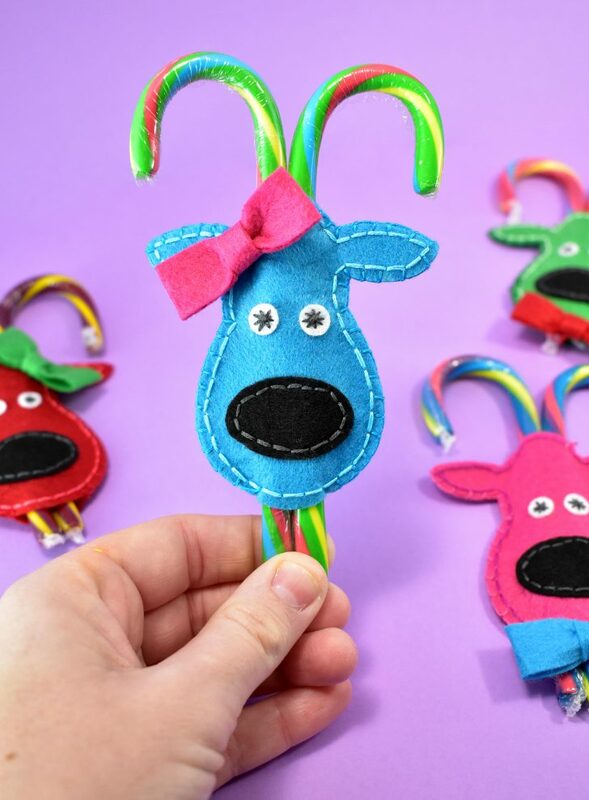 Stick your bows on top of a piece with the plus sign shape, right smack dab in the middle, but on an angle, so you can still see the bulk of the “ribbon”. Sew this sucker on with quite a few stitches and knot this guy really, really well on the backside of the felt. 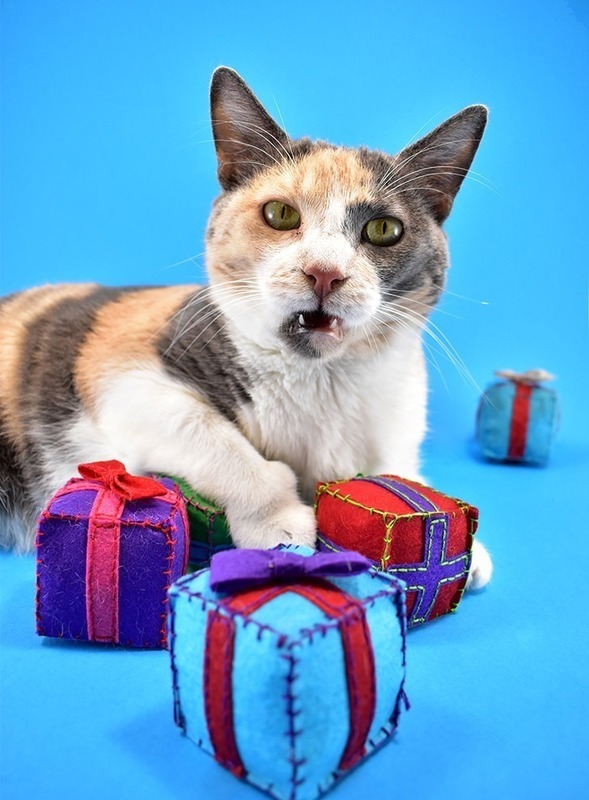 There’s a great chance your cats are going to go right for the bows, trying to pull them away from the rest of the gift. On the first gift I got a bit confused on piecing my shapes together, but it’s really pretty easy and after you get the base shape done, there’s really no right or wrong way to finish turning this guy into a cube shape. I should know, I don’t know if I actually did the same order twice. Continue placing the pieces, wrong sides together and attaching with the blanket stitch. The basis you’re looking for is this plus sign shape so that you have the straight ribbon sides attached to the gift’s bottom like so. The only piece you’ll have loose, at this point is the gift’s top with the pretty bow we made with a ridiculous long info-graphic type of thing. Next, you’ll pinch the sides together to start forming the cube shape. 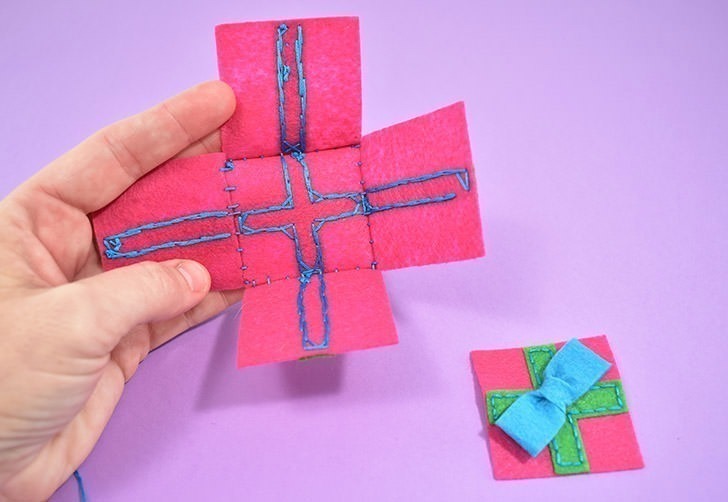 Using the blanket stitch to attach the 2 corner pieces together making a nice, 90° angle as you go. 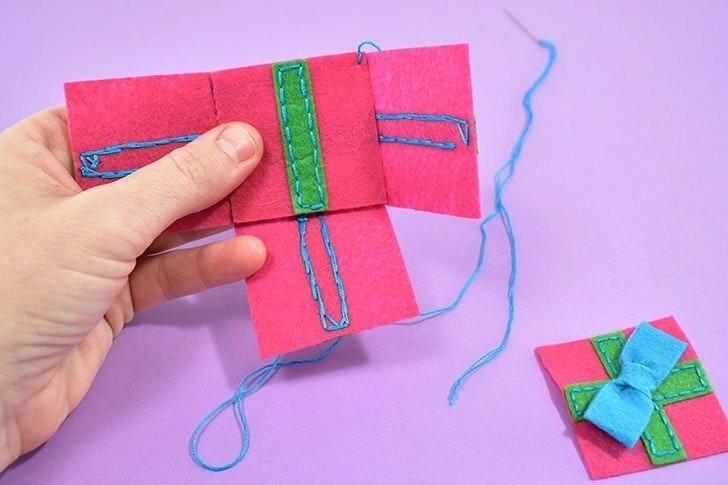 You’ll need to knot off and start your thread over again a few times but in the end, you want an open cube/box without a lid. And FYI, you can actually tuck the tails of your floss into the center of the package rather than trimming right along your knots. This helps to keep the packages together better during rough play. 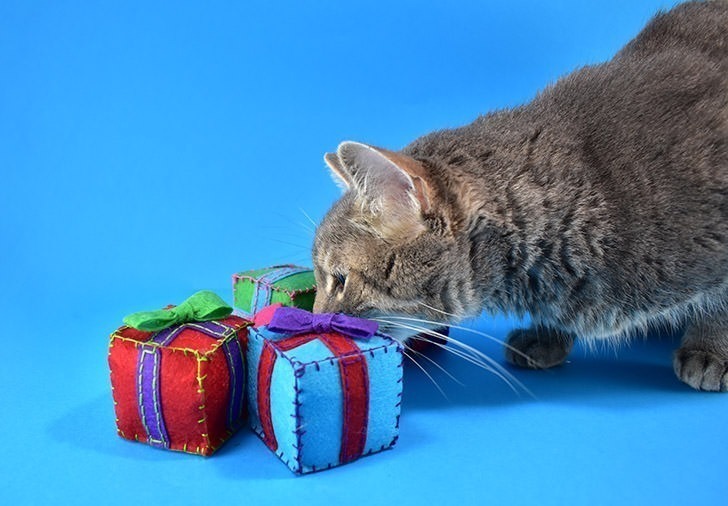 Once most of your gift is together with only 2 sides of the lid unattached stuff your present with a pinch of Poly-fil, a ton of catnip and then another layer of Poly-fil. 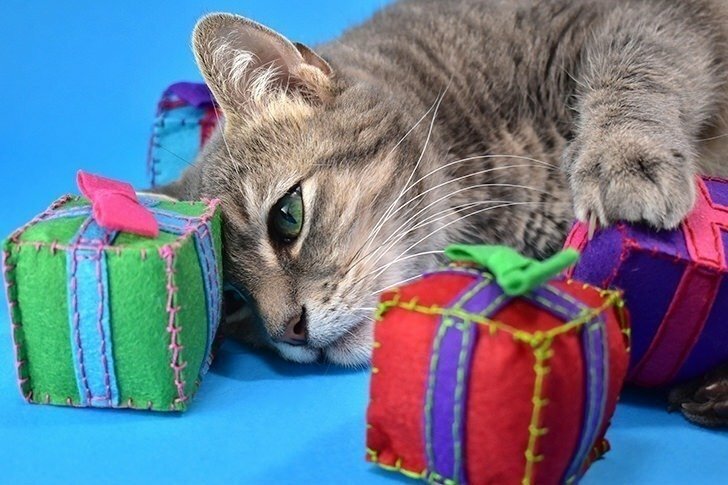 This helps to trap the catnip in the center and you don’t have tiny catnip pieces wiggling out of your stitches as the cats play. FYI, here I left one of the box’s corners free to see if it stuffs better but it is actually harder so you’ll want that sucker already sewn shut by this point. 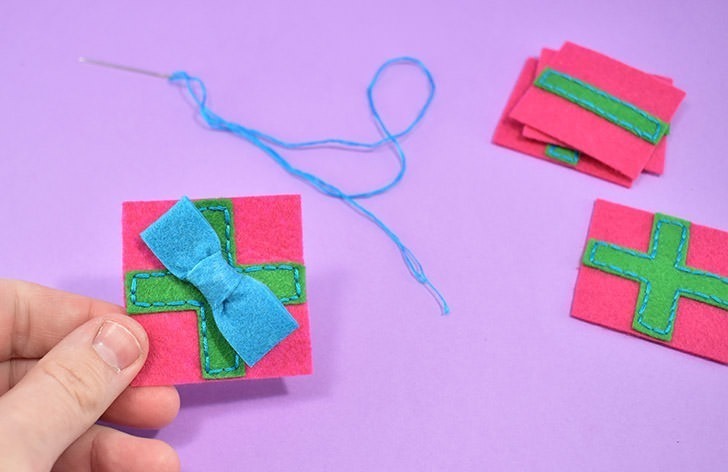 With your package filled, pinch the lid on and blanket stitch around to close everything neatly up. 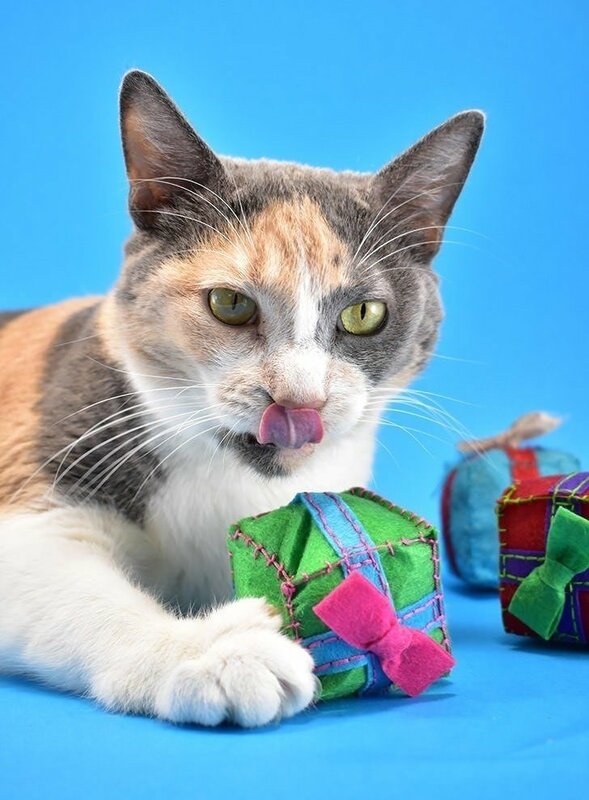 If you’re wondering, these handmade catnip gift toys will totally hold together even with rough play. Maybe up there is hard on toys. 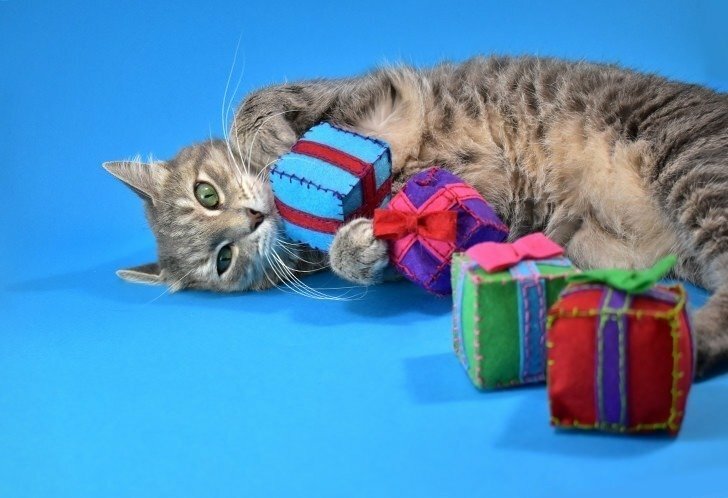 See how she’s grabbed the center of the gift and she’s trying to pull the thing apart? The tester gift I made a few weeks ago is really fuzzy from all of this pulling, but it’s still totally intact and the bow is still securely fastened. Even Maybe is surprised at how tough these little packages are. Ha! :) Just kidding. Maybelline is actually in the middle of sensing out a new smell using the Flehmen response. Cats aren’t the only animals that do it, but if you have a cat you’ve probably seen them do this far more than once :) The Flehmen response is where an animal breathes in a scent or taste and holds it in their open mouth for a few moments and it’s just about the funniest look you’ll see a cat make :) The more you know!